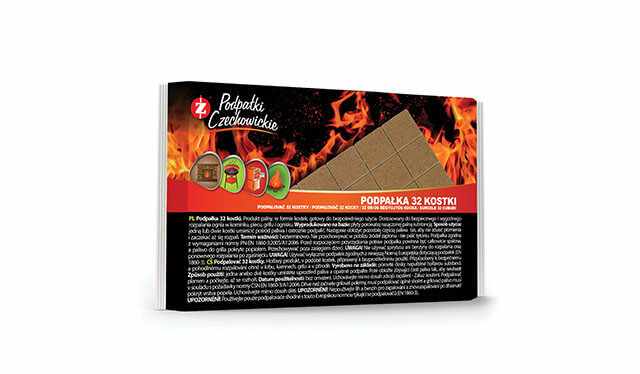 Kindling 32 cubes in foil - PCC Consumer Products Czechowice S.A. Product with variety of applications. The plate is completely natural product, and by soaking in the appropriate proportions of high quality paraffin guarantees the effective lighting of charcoal, firewood, fuel in the furnace, and even camp fire. Foil package makes it easy to use, while protecting against moisture. Convenient foil packaging has all the sings required by law.